Bobby Lashley went on The Big J Show and explained why he left WWE in 2008 and what brought him back in 2018. "I wanted to work with some of the people that I probably would have never had the opportunity to work with before," Lashley said about why he left WWE for the indies. He also said that various wrestlers view the indies as "paying your dues" in the wrestling business. Since Lashley went straight from amateur wrestling to the WWE, he wanted to respect the business by working the indie scene at some point in his career. Leaving WWE also gave Lashley the opportunity to compete in MMA and he fought in promotions such as Strikeforce and Bellator. After that ran its course, he was simply waiting for the call to return to where it all began. "The [MMA] part was to show people that I can do it," said Lashley who has a 15-2 MMA record. "A lot of people look at me as such a nice guy, they don't understand how dangerous I can actually be. "…I was kind of waiting for that opportunity to open up the door so I could come back to WWE. So that's how I made it back. The door opened up and I came running." Now that he's back in WWE, Lashley says he's most looking forward to having a feud with another former TNA star, AJ Styles. 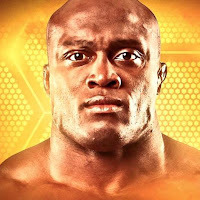 "No, not while I was in TNA," Lashley responded when asked if he worked with Styles before. "He was going out while I was coming in and he was involved with these other things. The thing with AJ is…a crazed good guy needs a crazed bad guy. When I flip that switch and you see that bad side of me like I had in TNA, I believe I'm a perfect person to AJ's good."